“Channelling the lightness and freshness of Sydney’s pristine coastlines, roaring surf breaks, and soaring blue skies, we looked to permeate these characteristic notions with the Tait personality,” says Tait’s Creative Director, Susan Tait. 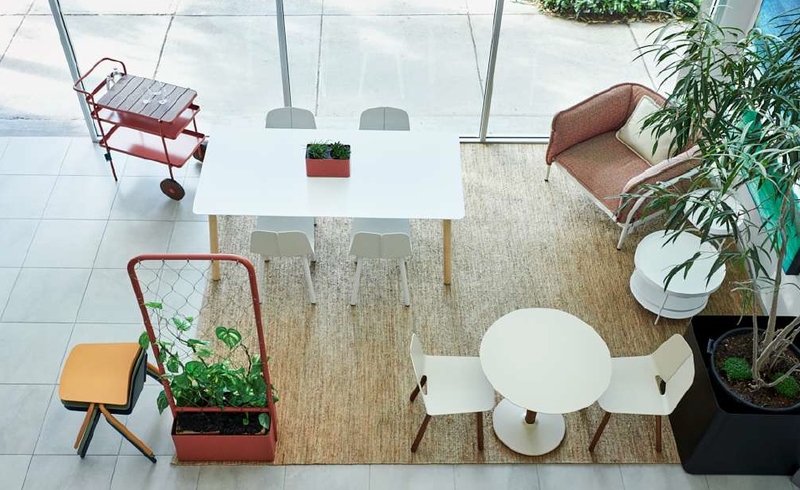 Capturing the vibrancy and outdoor-worshipping lifestyle of the sunny city, formed an integral foundation in the design brief for award-winning firm, Design Office. Having worked closely with Tait over many years, Design Office sought to evolve the established Tait design DNA, with a distinctly ‘Sydney’ feel. 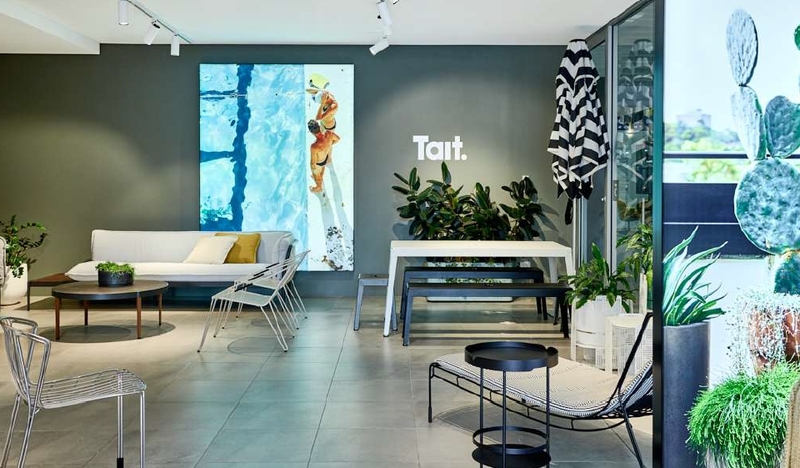 “The concept for Tait’s Sydney showroom was underpinned by the honest and pared-back design language conceived for their flagship Melbourne showroom in 2017,” says Mark Simpson of Design Office. Nestled within the design-centric Danks Street, Waterloo, guests are welcomed by a breathtaking light-filled entrance with double-height windows and ceiling. Damien Mulvihill of Design Office explains, “We were looking to achieve a ‘light, bright, sunny and uplifting sensation’ within the space…an effortless canvas by which to showcase Tait’s timeless, iconic pieces”. Mulvihill went on to say, “We utilised a considered palette saturated with lively yellows, earthy greens and soothing blues contrasted by the clarity of a simple white backdrop to give the space a refreshing outdoor context.” Taking cues from the architectural elements of balconies and courtyards, various domains are implied; the iron balustrade on the mezzanine, terrazzo inspired flooring and clean concrete like tiling introduce a sense of exterior materiality, while balanced planting schemes hint at an outdoor environment. 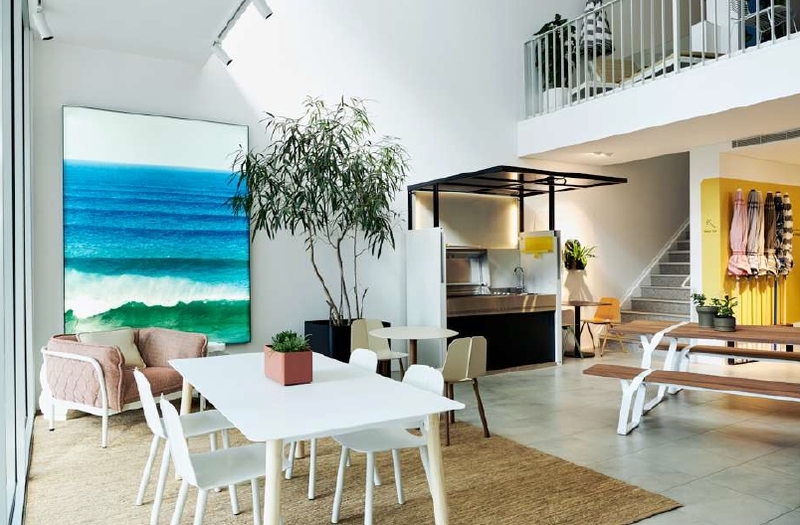 Tait’s signature lightbox visuals impart scenes of the modern Australian outdoors with vignettes of Bondi’s icebergs, mid-century breeze-blocks, and textural greenery. 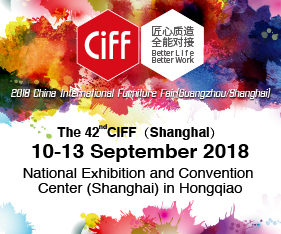 For over 25 years, Tait has built an Australia-wide following of designers, architects, landscapers and design enthusiasts, becoming renowned for their sincere and resilient outdoor products. The revitalised new space will showcase Tait’s iconic collections by celebrated Australian designers including Adam Goodrum, Ross Gardam, Adam Cornish, Trent Jansen, bernabeifreeman and many more.